Los Angeles has a lot of various Hummus serving restuarants. Lebanese, Middle Eastern, Armenian and Israeli among others. There is something in the Hummus served in many of these places that just doesn't taste like the authentic Hummus that can be eaten in the middle east. This used to be my favorite spot.They are easier to get to and more centrally located than Zahle but they're also more expensive. They're located in the middle of Westwood which means a parking nightmare and it's taken me just as much time to find parking in the area as it would have taken me to drive all the way to Zahle. That said they give larger portions than Zahle so it's a close call between the current champ and the runner up. Still a Hummus plate costs $7 which some feel is highway robbery for the white gold. Their Hummus is simply divine. One of the best Hummus restaurants in th US. They also have amazing Falafel. They're mostly a Hukkah place so be prepared to inhale a lot of smoke while eating your Hummus. Their Falafel and all their other foods are also great. But the Hummus- is their cherry topping. Across the street there's a much more popular Hookah place that also serves food. While the crowd in the place across the street is younger and hipper. For Hookah smoking and for crowd viewing go there. But for Hummus go to the Gypsy cafe. "Gypsy Cafe opens at 9am Monday thru Friday and 10am Sat and Sun serving breakfast and coffee our full menu is available from 10am daily. For parties & catering please call 310 824-2119 before 11.30am." Wonderful Hummus. Tastes authentic and fresh. The problem with this place is that it's a fast food place rather than a regular restaurant. They serve on ugly disposable plastic plates and seating is uncomfortable. It feels very authentic. They're now renovating a large space across the street. I wonder if once they move to the more upscale place if they'll raise their prices and like other middle eastern restaurants and lose the charm this place had. It's seems it's always full. It's a little gem. 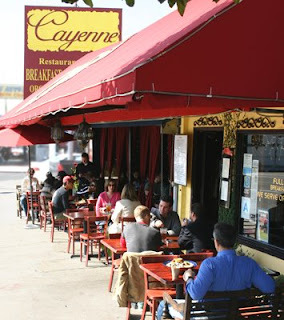 Cayane on Beverly Blvd is a wonderful and intimate Lebanese restaurant. Their Hummus is good. 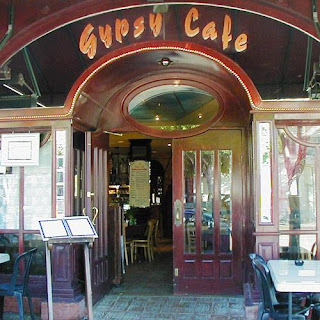 It's not in the same league as Gypsy cafe, but there's a quiet nice vibe at this place and so we recommend it even thought their Hummus still leaves much to be desired. Their Hummus is priced decently, but the rest of the meal is expensive. Maybe too expensive. Their Shukshuka sometimes is great- when served in a pan and sometimes mediocre if served in a plate. Try to get Sam the owner to make the Shukshuka and serve it in the pan- then it comes divine. The best Shukshuka in LA. They are located on Beverly Blvd. between Formosa and Detroit. Street parking available on Formosa Ave.
Good Hummus but the highlight is the Laffa pita which is fresh and hot. Try their Laffa Pita with Zaatar it's heavenly. This place is ideal for parties as they can combine tables to form a huge long table that can seat nearly 50 people. their prices are not cheap but also not expensive. I used to love this place cause they have divine Hummus- Some would even argue the best hummus in LA. But recently they've hiked their prices and they're too expensive to recommend. I'm very dissapointed with their pricing for food- but the chef gets an A++ especially for their Hummus. This place has an identity crisis. It's too run down to invite anyone for a fancy meal or a date- and it's too expensive to go out with a friend to eat out at a fast friendly local joint. It's also not in most people's way- it's in North Hollywood about 30 minute drive (without traffic) from Hollywood. They serve tiny portions of everything so expect to pay around $50-$100 per person for a full middle eastern meal. I repeat $50 - as in FIFTY DOLLARS is what an average meal will cost you. Maybe it's just me, but for that price- it'll be cheaper and more satisfactory to go to an upscale Sushi restaurant in Beverly Hills and not to a run down place in North Hollywood. But back to their Hummus. Their Hummus is $4 a plate. But everything else is in too expensive. So for now, until they return to their senses- and to normal pricing- I suggest to avoid. THIS IS THE ULTIMATE SUCKER MAGNET. EXPENSIVE. NOISY. AWFUL SERVICE. UGLY BEHAVIOR BOTH OF THE STAFF AND THE PEOPLE COMING THERE AND ENJOYING TO ARGUE AND SHOUT AT THE MEAN AND UNHELPFUL STAFF. PERSONALLY I ALWAYS TRY TO AVOID THIS PLACE THAT MAKES ME CRINGE AND FEEL UNCOMFORTABLE FROM THE MOMENT I ENTER TILL THE MOMENT I LEAVE. 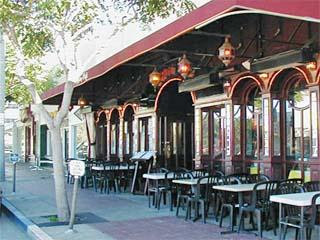 Many Israeli's know Aroma Cafe which has two branches one in the valley and one in Los Angeles. They are popular places and the perfect place to see a lot of Israelis sitting together. But in terms of their Hummus, it's a two thumbs down. Their hummus is mediocre at best and it's way overpriced. Expect to pay between $50-$100 minimum for a very light meal that will leave you craving for more. The place has slow and horrible service and not all their other dishes tasted fresh. Haifa restaurant has mediocre Hummus as well, but it's the place many Jewish Angelenos think about when they think about a Hummus restaurant. It's located in the Jewish area of Pico-Roberton. This very down to earth place is located in the old Jewish neighborhood of Fairfax street which is now changing and becoming a hipsters paradise. This restaurant reminds the visitors to this street of its glorious past before becaming the new center for Skateboard fans. It replaced the famed restaurant Shula and Esther and it's food is very similar to Haifa. The place feels very authentic but the Hummus is mediocre at best. Still it will satisfy most people with an urgent need for some decent Hummus and it's Kosher. Located in the Pico Robertson Area- It's competing with Aroma for the ultimate sucker magnet. It's expensive, awful and I recommend to avoid. That said a lot of Israeli's sit there- which proves that indeed a sucker's born every minute. Many reviewers on this popular website think the two Carousel restaurants are the best. AnArmenian/Lebanese restaurant that's quite popular. It's located in little Armenia close to Thai town - quite east for many Angelenos. Their Hummus is mediocre and they give small portions as well. That said, they give much larger portions of meat. So just for Hummus go elsewhere, but for an overall meal and if you like Armenian spicing it's a place to consider. For some people, Hummus is like wine. Unlike wine which is much easier to find around the world, even if not local but only imported - Hummus is harder to find cause great Hummus is fresh and made on the spot so one can't buy an import at random seven elevens. 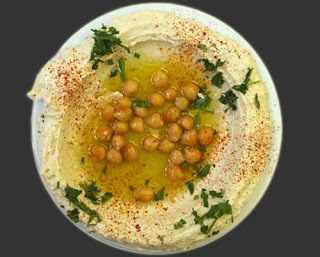 That said, luckily, there are Hummus joints everywhere, so hopefully with the help of all of you we'll be able to create a list of the best Hummus joints around the world so that no matter where you're travelling around the globe- you'll have a quick guide to satisfy your Hummus craving. Please help and send us feedback for any great Hummus joint you found. Also, do send us comments about bad places you've experienced as well.